James Gale is a seasoned professional at the Overseas Private Investment Corporation (OPIC), currently serving as Program Director in the SME Finance Department underwriting loans to private-sector led investment projects throughout the world. For more than two decades at OPIC, Mr. Gale has directed his energies toward the promotion, origination, and implementation of OPIC programs in his drive to promote economic and social development in more than 80 developing countries worldwide. Prior to OPIC, Mr. Gale was Acting Director of Telecommunications Trade Policy for the Office of the U.S. Trade Representative (USTR) in the Executive Office of the President. He also held management positions at management consulting firms, including Planning Research Corporation/Booze Allen Hamilton, and began his career with the General Electric Company. Mr. Gale was past President and Board Member of the Washington International Trade Association (WITA), serving also Vice President of Membership, Vice President of Operations, and Treasurer, where he played a key role in branding, marketing, and developing WITA as the preeminent Washington forum for promoting international business, trade, and investment. He also served as Founder, President, and Board Member of the Washington International Trade Foundation (WITF) and as a member of Board of Advisors of the Center for Global Information Technology (CGIT). 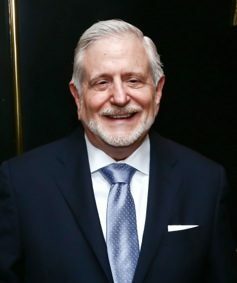 Jim currently serves on the Board of Directors of The Washington Ballet and he and his wife have supported a number of philanthropic organizations throughout Washington, DC.